​Curved to sinuous conical biomineralizing tubes. Apical end closed, apertural end open. Tube multi-layered, circular in cross section. Tube consists of an apical cone and a number of nested funnels. Apertural end of the cone open, apical end closed. Cone smooth, apex hemispherical. Both apertural and apical ends of funnel open. Funnels have thickened apertural and apical rims. Funnel smooth or has transverse and/or oblique annulations. Funnels stacked in variable overlapping length. Tube occasionally has dichotomous branching. A cross-section through the nested cone-in-cone shell morphology of Cloudina lucianoi, Tamengo Formation, Ladario, Brazil. Cloudina lucianoi specimens from Ladario, Mato Grosso do Sul, Brazil. 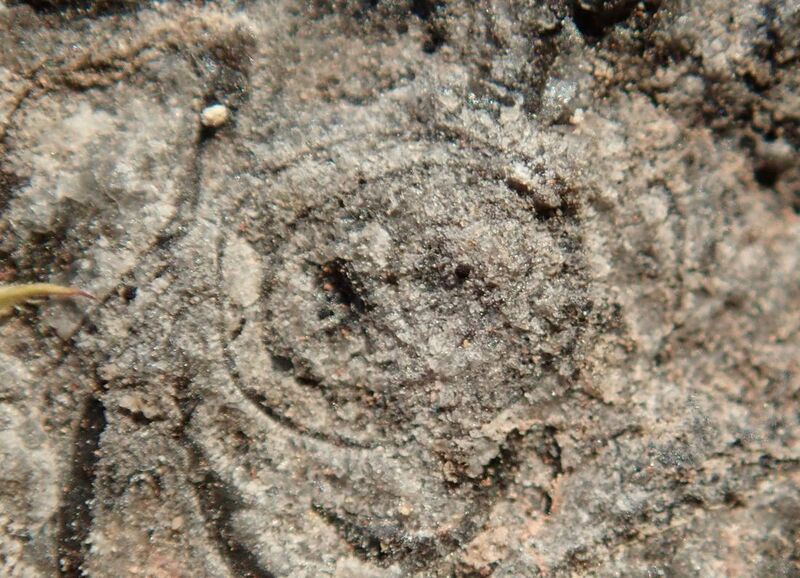 Cloudina appears in the fossil record towards the end of the Ediacaran Period, around 550 million years ago. It is one of the oldest known large biomineralizing organisms. It has a tubular form, constructed of calcium carbonate cones that are stacked within one-another. Specimens are typically found in dense assemblages. There is currently debate about whether these organisms were reef-building (e.g. Penny et al., 2014) and attached to their neighbours, to stromatolites, or to microbial mats (Wood et al., 2017; see also Becker-Kerber et al., 2017), or whether their dense assemblages represent lag deposits of transported specimens (Mehra & Maloof, 2018; Adorno et al., 2018). There is also uncertainty about what Cloudina was. Most researchers consider it to be an animal, but suggestions that it might have been related to annelid (serpulid) worms (Hua et al., 2005), or cnidarians (Vinn & Zaton, 2012) have been proposed. Morphological studies have revealed that Cloudina could undergo both sexual and asexual reproduction (Hua et al., 2005; Cortijo et al., 2015). As one of the earliest biomineralizers, Cloudina plays an important role in debates regarding the evolution of biomineralization (e.g. Wood et al., 2017). 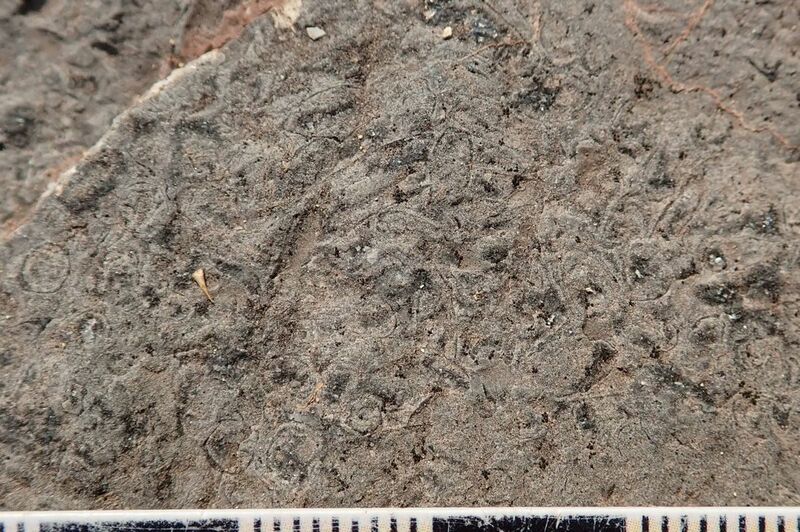 Its wide global distribution also makes it an excellent candidate for developing a late Ediacaran chronobiostratigraphic framework, although tubular skeletal fossils with similar morphologies have been described from the Early Cambrian Kuanchuanpu Formation of China (Han et al., 2017; see also Yang et al., 2016). Cloudina is also important for recording one of the earliest records of predation in the fossil record, in the form of small holes, considered to be evidence of predatory boring, in the walls of specimens from China (Hua et al., 2003).